Steele Kelly is a self-published author who released his first novel in the summer of 2018 titled, “When Sinners Like Me Come Home.” As a US Army combat veteran who served two tours in Afghanistan, his first novel details the struggles of assimilating to everyday civilian life after being in combat. It emphasizes the important role that mental health plays on an individual, as this book was a way for Steele to stress the glaring need for the education of mental health in the United States, among young men across all professions, not just military veterans. We Are 3 served as Steele’s creative consultant and publicist in the months prior to the release of "the book. As a first time author, it was important for us to create an awareness and demand for Steele, while positioning him and his message so that it aligned him with multiple demographics. To accomplish this, Steele we conducted a press run two months prior to the release of his book. This run included appearances and interviews on shows such as “the “Veteran on The Move” podcast and the “Lars Larson” radio show. Through this press run, Steele created a demand for him as a mental health advocate and educator, as he is also has a degree in psychology. 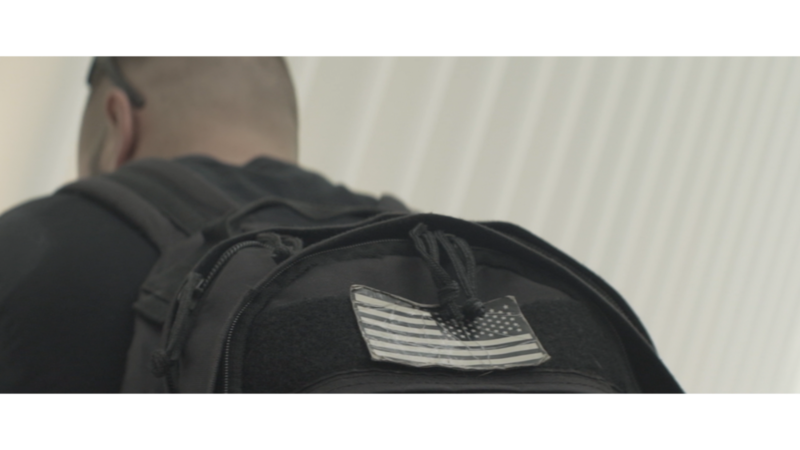 We combined his unique position as a combat veteran turned mental health advocate, with content and short-form video that expressed the high-stress and anxious environment one might experience when transitioning from the military to civilian life. Though a physical book, we shot and edited this content to replicate a movie trailer. By doing so, it created a sense of angst, putting viewers inside the world of someone coping with these mental roadblocks. Replicating the same feelings one in Steele’s position might feel as well.